A powerful sprinkling of sparkly gray beads to spark conversation and put extra spring in your step. 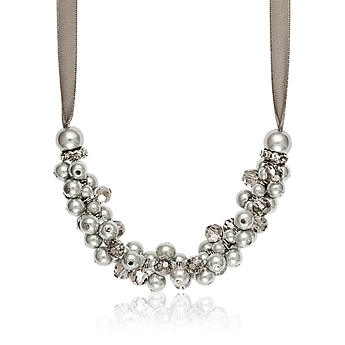 Glass stone and faux pearl necklace with polyester lace. Fabric pouch included. Nickel Safe. Length: 53 cm (adjustable).